You are currently browsing the tag archive for the ‘Meanjin’ tag. Despite having them in my life for 30 years, more or less, I don’t really know what they are. They flit about like a type of butterfly that may or may not exist. I can remember being in the Fifth or Sixth Form of the rather well-healed Anglican school I attended on Sydney’s North Shore, my English teacher, Mr Cowdroy, leading us through the reading of a short story, the author of which I regrettably can’t recall. I loved the conciseness of the story – that life could be created and explored and examined in so few pages – and the sense of compression, the cleverness of the ending, which made me want to start reading the story all over again. It also made me want to keep writing, for by that time I had been writing for some years, albeit for school assessment. One of the lingering collections. Fast forward to my twenties, when I realised that doing little more than hanging out with mates at the pub was not good and deep living and would most likely lead to misery, I began writing stories again, but only because I wanted to. I also read stories, mainly in anthologies. 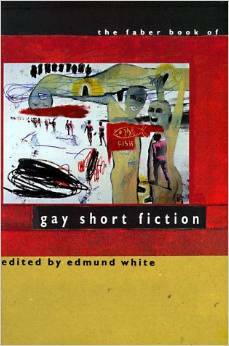 Collections that resonated were Risks (Fremantle Arts Centre Press, 1996; edited by Brenda Walker) and the Faber Book of Gay Short Fiction (Faber and Faber, 1991; edited by Edmund White). I also enjoyed Fishing in the Sloe-Black River by Colum McCann (Phoenix House, 1994) and that other Irish chap who did quite well in the form, James Joyce with his Dubliners. I’d go on to discover the short works of Tolstoy and Chekhov, and contemporary writers such as Peter Carey, Annie Proulx, David Malouf, Marion Halligan, John Clanchy, Tim Winton, Nam Le, and Alice Munro. 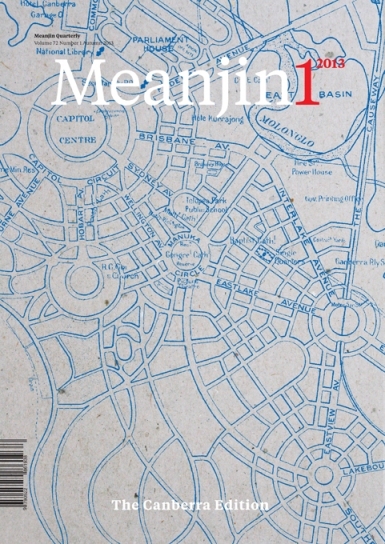 I subscribed to and read Australian literary journals, including Meanjin, Overland, Island, Tirra Lirra, and Wet Ink. Over the years that followed I began having my own stories published, at first in relatively minor journals now gathering dust in the National Library of Australia’s vast vaults, before some of my stories were ‘accepted’ (for that appeared to be the termed used) in the journals mentioned above. It was, of course, all very thrilling. To see my name in an edition of Meanjin (2: 2000) alongside writers such as Merlinda Bobis, Thomas Shapcott, Dorothy Hewett, Arnold Zable, and Dorothy Porter. Eventually my published stories were collected in two humble volumes, Homelife (1999) and Joy (2000). The Australia Book Review (no. 224 Sept 2000) described the latter as ‘beautifully poised, warm, lush, humane, with lots of surprises and shocks.’ Which made my heart sing, and still does. I say all this not to brag but to suggest that slowly but surely I have been taking steps; I have, I think, been making progress. What makes a writer’s heart sing. Soon I gathered the confidence to write longer works, including three published novellas and a novel, but rarely does a year go by when I don’t write – and try to have published – short stories. Perhaps part of the attraction is being able to take a break from convoluted, complicated works and spend a week crafting a little tale. But I’m not sure if that’s true and/or wise. Short stories can be just as complex as longer works, if not more so, and they can be just as difficult to write, if not more so. It is common for fiction writers to say that short stories are closer to poetry than prose, in that they are suggestions more than full explorations. In the best fiction, regardless of length, words need to be deployed artfully so life can rise from the page. But perhaps in a short story, as in a poem, each word has to do some impressive – and exhaustive – heavy lifting, often (hopefully) with spectacular results. Sometimes with spectacular results. My filing cabinet and PC hard-drive are littered with rubbish work. Recently, to be frank, I’ve been doubting the worth of the short story as a viable form. Australian literary journals do continue to publish them, although, depending on the journal, it could be said that only writers are reading them. On the whole mainstream publishers turn up their noses at collections of stories, claiming readers want a more immersive experience; and some writers who have excelled at the form have simply given up, claiming there is no point when ‘it’s just too hard to find a readership’. So, if the readership is limited, why do it? Isn’t it like, say, insisting on painting miniature portraits, the sort that galleries won’t touch with a barge-pole? But, but, but: every so often single-author collections, such as Nam Le’s The Boat (Penguin, 2008) and Maxine Beneba Clarke’s Foreign Soil (Hachette, 2014), make a big public splash. What am I trying to say? The short story is a surprising and tenacious beast. 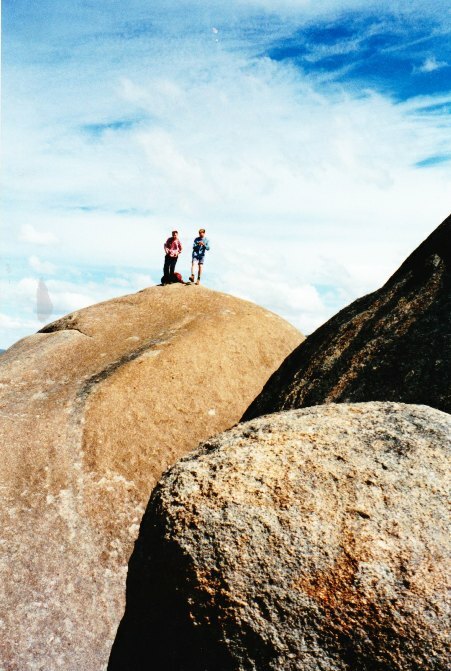 A similarly surprising and tenacious beast is the Review of Australian Fiction, which publishes – electronically – two stories every two weeks and often takes the opportunity to publish works that print journals consider ‘too long’ (over 4,000 words); a worthy venture to say the least, considering also that individual issues cost only $2.99. It’s an honour to be published in the Review a second time, especially as I’ve been paired with Marion Halligan, whose collection Shooting the Fox (Allen & Unwin, 2011) was choc-full of literary magic. My story, ‘The Blue Bottle’, has been emerging for many years – decades you could say – because it uses an event from my twenties as a place for jumping off (no, it’s not set in a pub). On the page the story is nothing more or less than fiction, but there must have been something in the original event that had stayed with me and I’d wanted to turn it over with words and sentences and characters and plot. As is so common (predictable?) in my work, the narrative involves an old house and landscape and music and friendship and intimacy and longing and glimpses – glimpses – of love. But I won’t go on. All I really wanted to tell you is this: ‘The Blue Bottle’ exists, it is here. 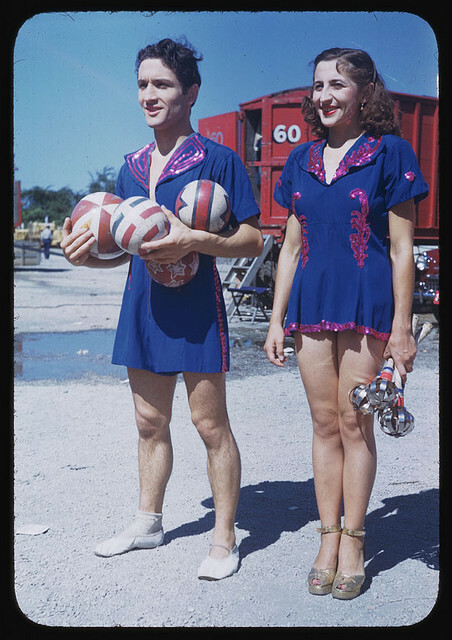 One of these jugglers might also be a writer. With any luck. Writers make good jugglers. There’s the juggling of time to write and time to earn money and time for family and friends and time for your own mental health, which being a writer is more than likely quite precarious. There’s the juggling of ideas: fine ones, not so fine ones, appalling ones. There’s the juggling of character and plot and point. There’s the juggling of words, getting them all exactly where they need to be so that magic is the result. Oh my, I’m exhausted already. But we’re not done yet. There’s the juggling of writing fiction and non-fiction and poetry. In terms of fiction alone, there’s the juggling of the writing of novels and novellas and short stories and micro-stories, and, those slipperiest of beasts, prose-poems. It’s enough to make you want to chuck it all in and become something simple, like a duck-farmer, or a grower of daffodils. For some reason, after twenty years, I haven’t yet chucked it all in, although I do think about it every second day, every single day if things aren’t going well, which is usually the case, if I’m honest with myself, and honest with you. I began my writing life, as in with seriousness and an almost religious sense of purpose, in my early twenties as – drumroll please – a poet. I wrote a poem, miraculously it was published, so I wrote another, and miraculously that, too, was published. Remembering that I loved reading short stories as a boy, I wrote a story, which was short-listed for publication; that it didn’t end up in print wasn’t the point – I was hooked again by words and their meaning, and by play, and by dream. Since 1994 I’ve had over 40 short stories published, including in literary journals such as Meanjin, Overland, and Island, and in the USA. In 2003 my novel Remnants was published by Pandanus Books. 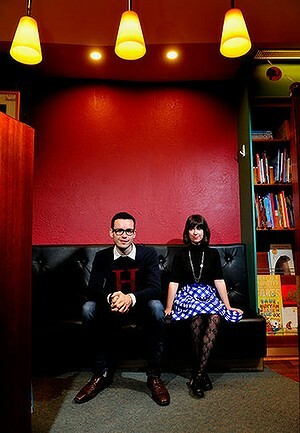 In 2011 and 2012 respectively, my novellas Fall on Me and I’m Ready Now were published by Blemish Books. Okay, now I’m just boasting. Wait, there’s more. Wanting to expand my readership, and add another string to my bow, in 2007 I began doing freelance work for the Canberra Times, primarily for the paper’s weekend magazine Panorama and its First Words column (along with Marion Halligan), as well as feature articles. Clearly not having enough to do, in 2009 I started this blog, ridiculously named Under the counter or a flutter in the dovecot, which was selected for archiving by the National Library of Australia. I still write a post for the blog every Saturday morning. Despite now working across these different modes, my mission hasn’t changed: I’m still just playing with words and their meanings. No matter what form there’s nothing like crafting and re-crafting until a piece hangs together, everything in its right place, it all makes sense; with any luck it might engage readers, perhaps – with an extra dose of luck – it might even move readers. Ever since early 2010, when I spent a month in Launceston as a writer-in-residence courtesy of the City Council (as written about on this blog ad nauseam), I’ve written everything by hand. My handwriting is truly appalling, which, oddly, helps – I’m forced to slow down, to think about every mark on the page, but I’m also forced to follow my head and heart and gut. When writing like this is both mental and physical work, you want it to be worthwhile in the end – for yourself and the reader. These days, everything, even blog-posts, even articles for the local writers centre magazine, is first written with pen and pad. Because it’s better this way: there’s more life. There are, however, subtle differences between the various forms of prose. Short stories, of course, are a cousin of poetry, so every word has to do more than one job. In the writing of a novel there’s greater opportunity for exploration and multi-layering and depth (and that awful flipside of getting tangled up and lost). Novellas are an especially peculiar creature: neither a short story nor a novel, they have their own prospects and hurdles; but in some ways I feel that this in-between mode is my natural home, because I’m an in-between kind of guy in an in-between stage of my life. Writing for newspapers requires turning down the literary fireworks and turning up general accessibility, although I still like strong characters, some kind of plot, a decent dose of honesty, and perhaps the odd writerly trick to create a spark – there’s nothing like an email from a reader saying that my work brings freshness to the newspaper. And there’s the writing of blog-posts, which can be more a terrific whoosh of words, maybe even something experimental (why not? ), but still I like to make sure it’s as fine as possible. One side of all this that I’ve become better at over the years is choosing the best form for an idea. Is there enough in it for a short story? Or perhaps there’s a lot in it and could run the marathon length of a novel? Or perhaps a novella might rein it in? In terms of creative non-fiction (which is my euphemism for journalism, because I really have no idea what I’m doing), is it something for the First Words column or a feature or an opinion piece – where in the newspaper might it belong? Blogging is interesting, too. When I first started Under the counter or a flutter in the dovecot I committed to never self-publishing fiction on the thing, and I’ve held to that commitment, so it’s a place for everything but fiction. Except there’s something else about blogging: every so often, if I try harder, I can get the piece up a notch or two so that it can first be published by a journal that pays. Because, quite frankly, I need the money – a writer must have wine. Despite all these years of juggling and practice and more juggling, writing is still about play – playing with words and their meanings – and dreams – dreaming up characters and predicaments, or imagining a non-fiction piece into existence and making a contribution to the broader cultural discussion. Scottish comedian Billy Connelly once famously said that ‘funny is funny is funny’. Perhaps I can echo Connelly by somewhat less famously saying that writing is writing is writing. First published in ACTWrite, the monthly journal of the ACT Writers Centre (August 2013).